Between brand spankin’ new ad formats and its ever-changing algorithm, Facebook is getting its fair share of buzz right now. You know what often flies under the radar for marketers on Facebook, though? Despite introducing hashtags on Facebook in 2015, the site itself has been relatively quiet in regard to how exactly they work and what marketers should do with them in recent years. Night and day versus the likes of Twitter and Instagram, hashtags on Facebook have a unique function and brands need to take special care when using them. And so if hashtags on Facebook have left you scratching your head, you’re not alone. In this guide, we’re going to break them down for you piece by piece. Should You Worry About Hashtags on Facebook? Should you bother with hashtags on Facebook? Facebook themselves haven’t updated their own guidelines for hashtags since 2016, which has left marketers to pick up the slack to figure out best practices themselves. Meanwhile, there is no cut and dry answer as to whether or not hashtags significantly increase or decrease engagement. 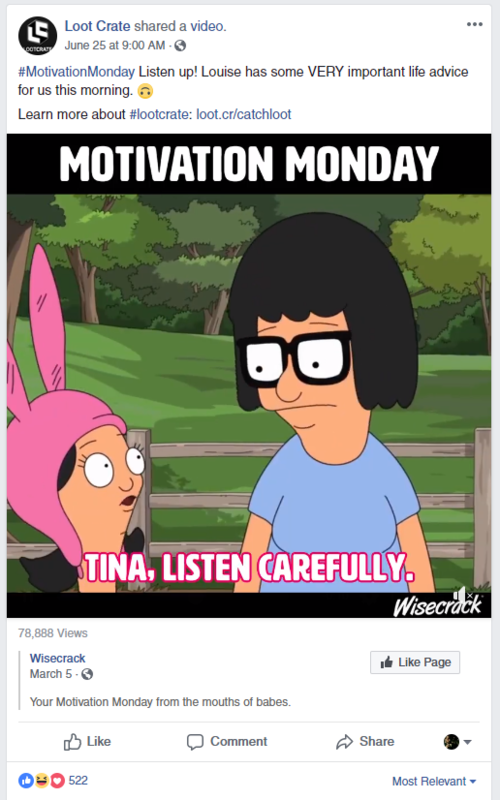 Given that Facebook’s ideal character limit is relatively low (between 40 and 80 characters), your post captions represent valuable where it pays to be economical with words. As such, there isn’t as much room for hashtags unlike Instagram or Twitter where marketers tend to pack ’em in. You’ll also notice that brands are fairly split when it comes to using hashtags on Facebook. While some brands totally ignore them, other big players add them posts as they see fit. Here’s the deal: brands typically don’t post hashtags “just because.” As is the case with any piece of your social media strategy, there are some distinct reasons why hashtags on Facebook make sense. Social listening represents one of the biggest social media trends of 2018 for good reason. Brands what to know what terms their followers are buzzing about and likewise what topics they’re interested in. If posts surrounding a certain hashtag or campaign perform well, that’s a direct signal to keep that topic in heavy rotation. Although tracking hashtags may seem more straightforward on Twitter or Instagram, keeping an eye on trends on Facebook is also a smart move for brands. Facebook hashtags are a nice touch from a search perspective, allowing you to get more eyes on your brand’s posts. Considering that Facebook handles billions of searches per day, categorizing your content for search just plain makes sense. Likewise, hashtags can help highlight specific campaigns or posts your followers might be interested in. 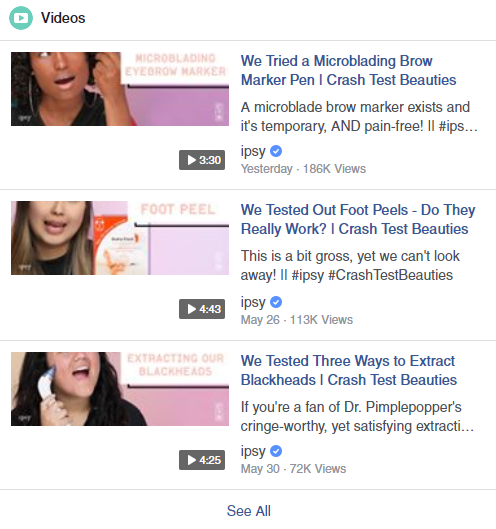 For example, Ipsy‘s #CrashTestBeauties campaign is a shining example of Facebook hashtags in action. The brand tacks the tag on to each of their beauty testing videos for particular products. And if you were totally new to the campaign or series, clicking the hashtag leads you directly to previous videos in the same series so you can check out more. While comparing Facebook to Instagram might be apples and oranges, posts on the latter with hashtags receive 12.6% more engagement than those without them. In addition to following a link or providing a specific call to action, hashtags give followers an extra incentive to interact with your posts in some way, shape or form. Again, scoring those hashtag clicks could clue you on the sorts of content people actually want to read in the future. But How Do Hashtags on Facebook Work? Compared to Twitter, Facebook uses a fairly similar algorithm for distinct URL tracking with hashtags. But Facebook uses hashtags to group or categorize conversations between people. Simply search for the hashtag in the Facebook search bar with the “#” symbol. However, this doesn’t work perfectly all the time for quick searches. In this example, we searched “#worldcup,” which brought up some recent relevant posts with a lot of engagement. 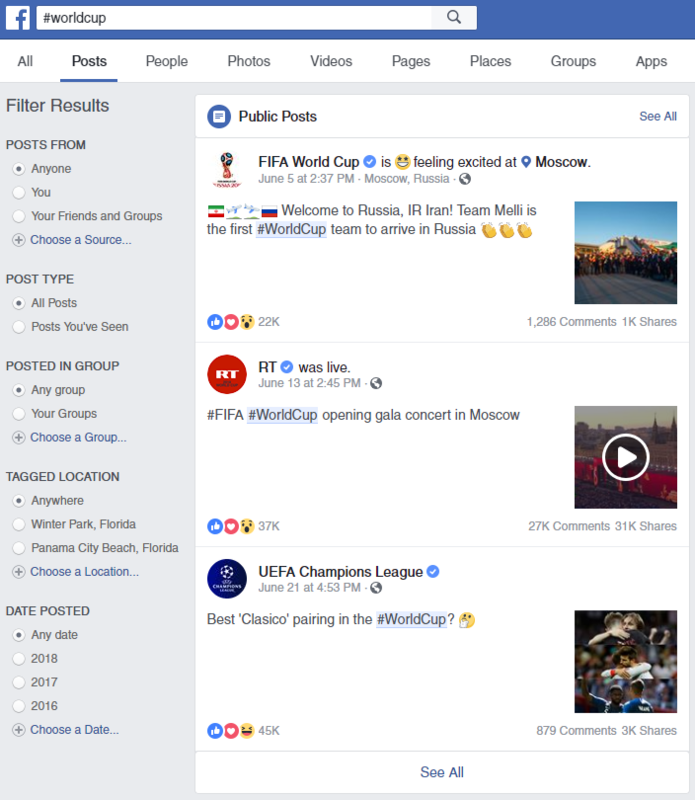 Meanwhile, the Facebook.com/Hashtag/worldcup search method brings a more precise page results that shows recent mentions from friends and other highly-shared content. 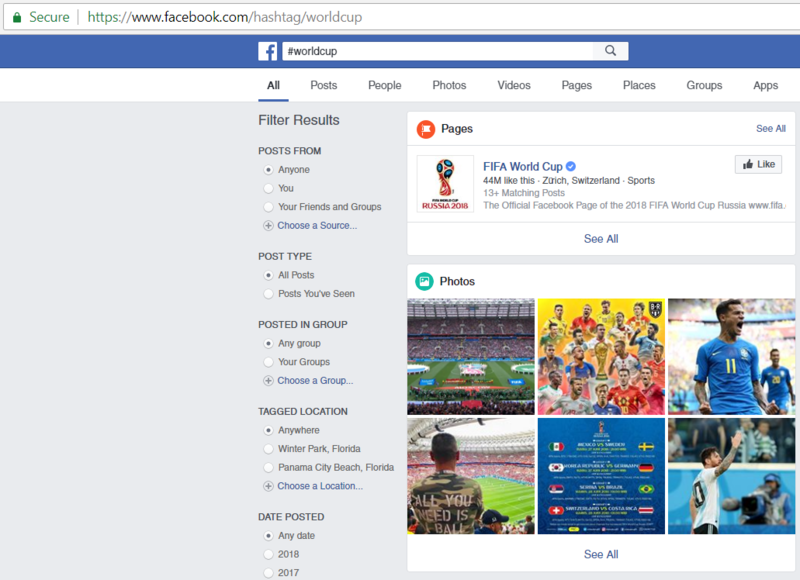 Now we can see all the relevant posts surrounding “#worldcup” on Facebook. While Twitter might show you every recent Tweet with the hashtag, Facebook can bring up different information. This puts all the more emphasis on using hashtags correctly on Facebook because it’s not quite like the wild west of Twitter. If you’re looking to experiment with hashtags on Facebook, it pays to understand the platform’s best practices. How many hashtags are optimal? What are some examples of popular hashtags on Facebook? Great question! Let’s take a moment to dive into the specifics of effective tagging. Much like Twitter or Instagram, marketers use both branded (#SproutSocial) and popular social community (#MotivationMonday) tags to tack on their posts. Single tags such as the example noted above are safe bets as they don’t distract from your post and likewise allow you to pop up via search. Well, if you’re trying to creating a hashtag or push a hashtag that your audience will come to associate with your content, it’s important to be consistent. As such, Orlando City Soccer Club promotes #VamosOrlando is just about every piece of content they post. Such a tag is simple, clean and easy to remember. From sporting events such as the World Cup to #NationalDonutDay, hashtags are totally fair game for topical content. As long as you’re posting tasteful and relevant content related to an event, you may very well score some extra attention to your post by tacking on a tag. For example, this #NationalSelfieDay post from Power Rangers was one of the top results for the tag, oddly enough. Given that hashtags on Facebook are used sparingly for some brands, it’s not uncommon to see them used satirical or as a bit of a joke. For example, brands like Redbubble randomly tack on nonsensical and humorous tags to their posts from time to time. Got a humorous hashtag in mind? If it’s in line with your brand, go for it. If you take a look at the majority of the posts highlighted here, you’ll notice that most of them only use a single hashtag. 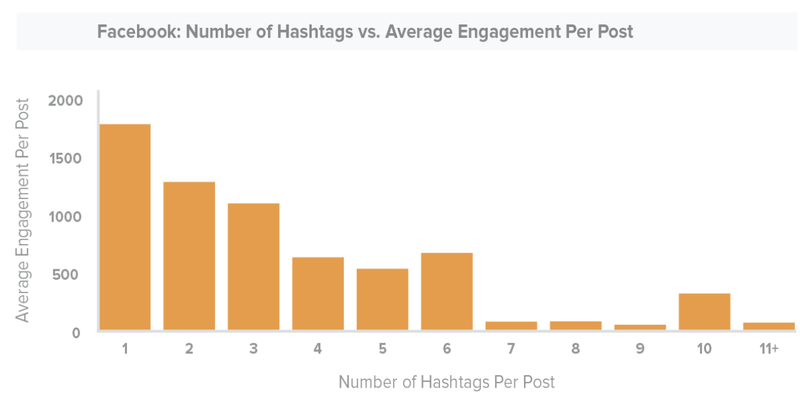 Based on research on how to use hashtags, maximum engagement occurs on Facebook when only one tag is present. This is a far cry from Instagram where you might see someone slap dozens of tags on their posts. When in doubt, think “less is more.” It’s much better to use one well-placed tag versus spamming your followers with a flurry of them. You’ll rarely see more than one or two hashtags used by big brands, if you do they’re usually nestled within the post rather than hanging on their own at the end of it. On a related note, it’s always a good idea to switch up your hashtag strategy based on the best platforms of whatever network you’re posting to. This means taking special care when you’re scheduling your content. In the comment section, Adobe adds a number of additional tags such as #diversity and #graphic dozen among a dozen others. And hey, that’s perfectly cool for Instagram. The takeaway here? Stick the best practices of your platform. And while double-dipping your content totally makes sense, so does tailoring your captions accordingly. And to wrap all of this up, think about hashtags as a whole when it comes to your social strategy. Hashtags should cross among platforms so you can better track the overall social media engagement on each word or phrase you use. Your ultimate goal should be to become more searchable on Facebook and hashtags can help you get there. You can even use tools such as Hashtagify.me, which finds relevant or trending hashtags based on your search. This makes it easier to plan your hashtags strategically, whether you plan to use them on Facebook, Twitter, Instagram or all three. But doing all of this takes planning. Like any social media campaign, you want to have an end goal with your research. How Are You Using Hashtags on Facebook? Although not the be-all, end-all of your Facebook presence, hashtags still have their time and place on the platform. In a day and age where competition to get noticed is so fierce, any data point or opportunity to interact with your follower is a plus, right? 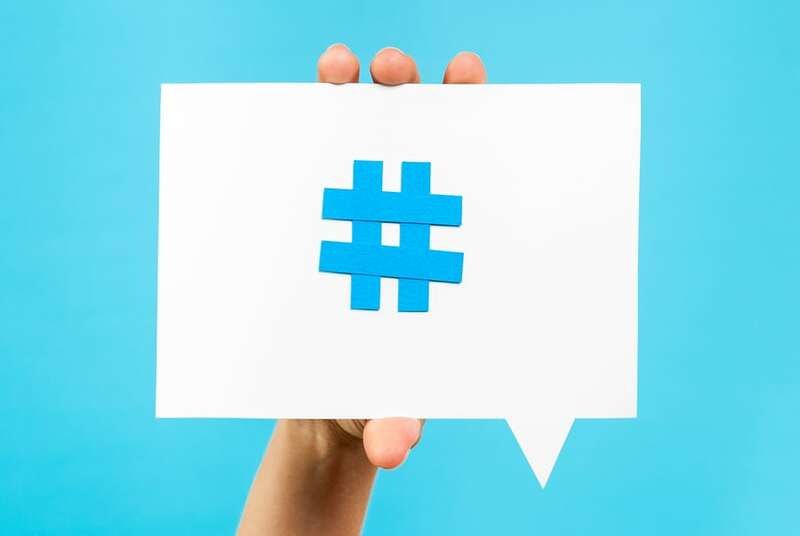 If nothing else, hashtags give marketers something to experiment and, hey, who knows what Facebook might have around the corner for hashtags in the future.